Wooden blocks are a toy box constant and when they’re hand painted with a trendy matt finish we totally get the appeal. Frankey’s is on the money with their version of the good ol’ wooden blocks. Sporting geometric patterns in muted greys, oranges, yellows and blues, each set of blocks is unique and handmade by owners, Vanessa Bliemer & Karina Sandvliet. 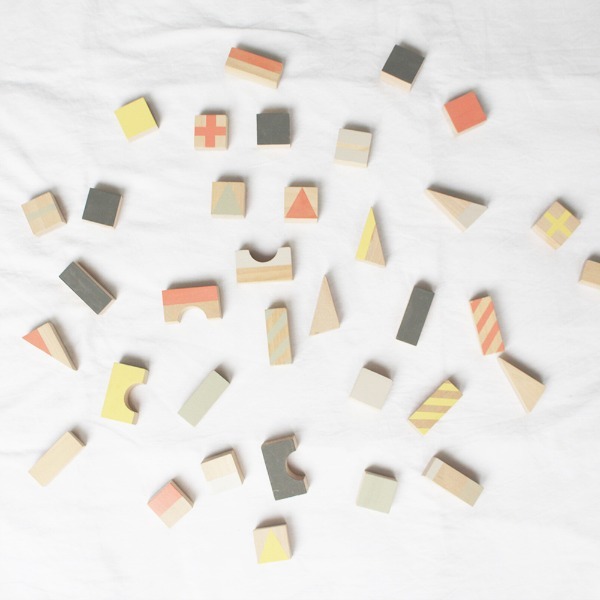 These wooden blocks by Frankey’s make for a gorgeous nursery decoration, but are hard to resist playing with. The colours and designs add interest to their already tactile nature and can provide creative play with a good dose of spatial awareness practice for toddlers and preschoolers. They are extremely hardwearing so will last forever – just as long as you can keep all the pieces together. Frankey’s have some other great products including clothes and toys that are worth checking out and their Instagram page is serious eye candy for all things beautiful – definitely one to follow. 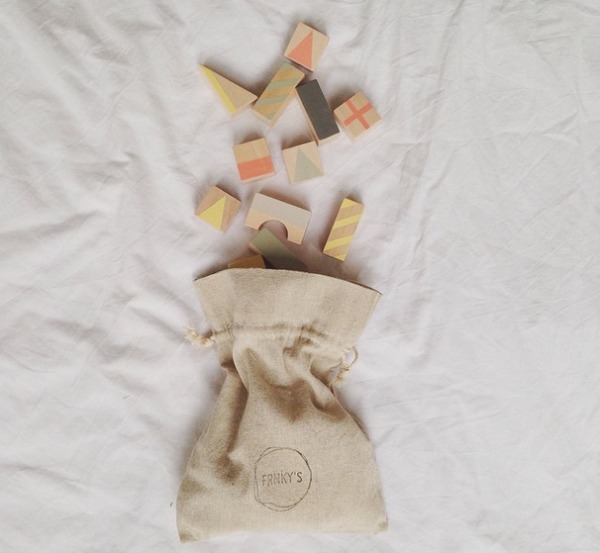 These wooden blocks come as a set of 25 and are packed in a small linen bag. Purchase these blocks direct from Frankey’s for €25 and get shipping to Australia for an extra €13.